Hatchets, glaives, cleavers and halberds; cutting wood, meat, necks or space-time, what axes lack in finesse they make up for in conclusiveness. Your first swing either hits hard or freaks out your opponent long enough for a second. 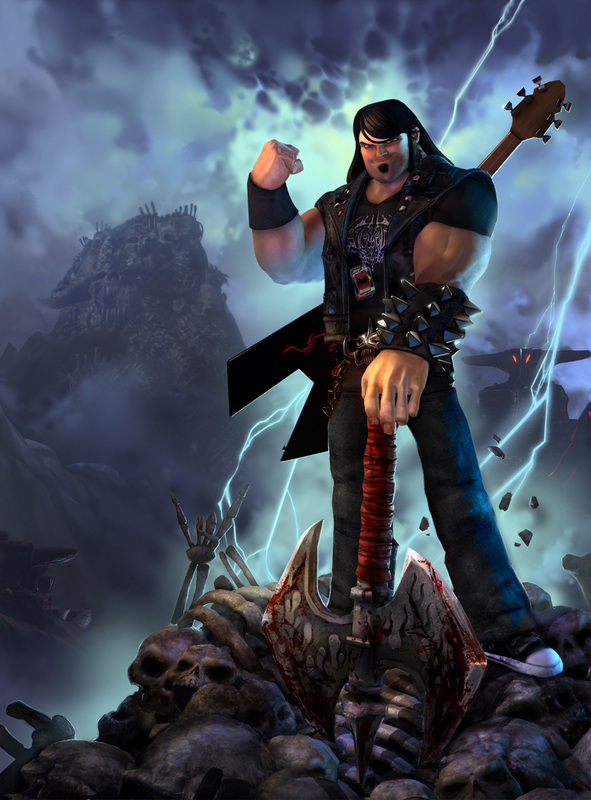 Join us as we hack away at this weeks’ Top 10, this is going to be axecellent! League of Legends is full of characters of many different walks of life, though whilst many of them are Yordles and Poro, there’s few more savage than the warrior Olaf. This human berserker goes into battle wielding the spirit of a Viking (Well, actually, he basically is a Viking). There’s few things cooler than a Viking, but when he’s not fighting enemy heroes, he’s usually out there fishing or being part of the band Pentakill. When he is in battle though, he wields two large axes, which he swings with absolute ferocity. He strikes fear into his opponents hearts and can attack from a distance by throwing his axes at his enemies for huge damage. Once this berserker starts swinging, it’s hard to get him to stop, so you’d better cover your necks, the Pentakill drummer, Olaf, is chopping his way through his foes in a town near you! Straightforward, in fact just about the most basic Magic card of all. For those unfamiliar, each colour of mana in the game represents a broad strategy; red mana is about as simple as it gets, do damage and do it fast. Lava Axe does this rather well: Pay five mana, deal five damage. 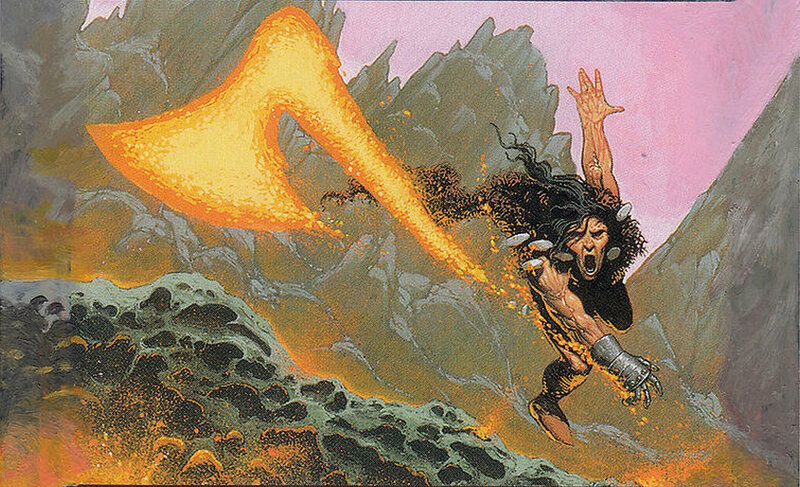 There are better spells that do damage in a more versatile way, or perhaps deal far more damage for the same cost, but there’s something lovably direct about an axe made of lava straight to the face. There’s not a lot to discuss here. Cast the spell, do the damage! Although let’s give a nod to the equally simple and to-the-point flavour text when mixed with the card art shown above. Oh the delicious irony. 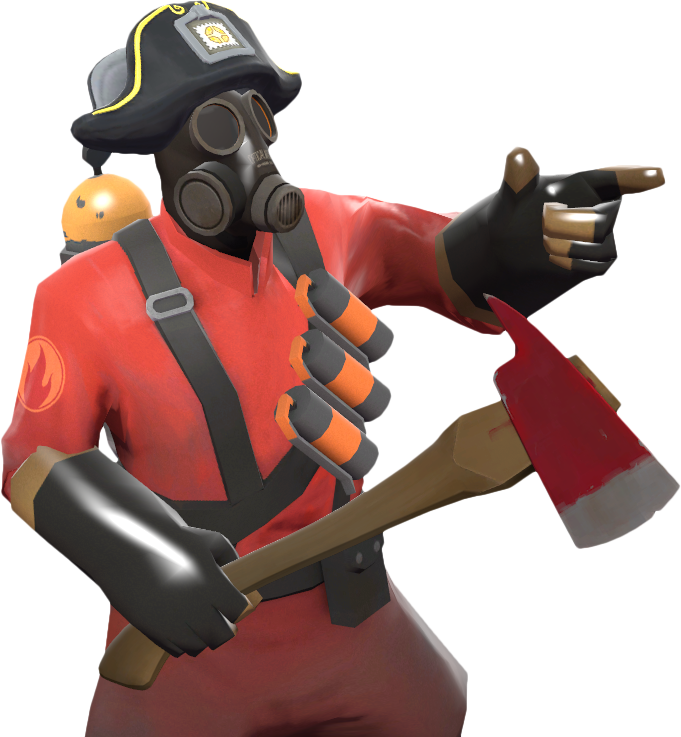 The Pyro’s iconic weapon is the flamethrower, it’s kind of his (her?) whole thing, complete with the flame-retardant suit and protective gas mask to really bring home the scorched-earth strategy. So having one of the most essential pieces of a firefighter’s kit as the standard melee weapon is just too brilliant. The axe is a tool used to free those trapped by falling wreckage and behind jammed doors, far more effective at splitting hard materials like wood and bones than a sword. Of course if you’ve watched Meet the Pyro then you’ll know that s/he’s rather adept at using the axe to trap people inside the burning buildings instead. Yes I know I bang on about Goblins, but this one deserves to be on here, promise. The Axe of Prissan is a cage for an immensely powerful demon deity that attracts Paladins to wield it, as their selfless and righteous deeds strengthen the cage and keep the creature bound. Every evil deed makes the axe weaker, and so the notion of an evil creature holding it could result in a literal hell-on-earth scenario as the mighty demon conquers all of creation. 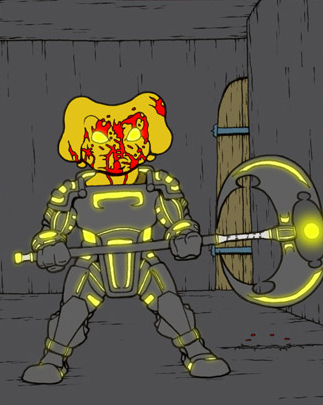 Perks for the paladin who wields this almighty burden include a self-healing suit of armour, a weapon that cannot mistakenly harm them or any other paladin – which has its drawbacks when the worst villain in the world is a misguided paladin – and a bounty of knowledge to help use the axe effectively and keep the material world safe from harm. Let’s be real right now, the only hero of the Fellowship of the Ring who seriously holds his own as a fighter is Gimli. Why’s that you ask? Because this short (Sorry, Dwarf) would-be friend of Frodo Baggins is proficient with the axe, a massive two-handed battle axe which he takes with him wherever he goes, disregarding all of his foes as he swings it about. He also has an affinity for challenging a certain Elf to a killing competition. 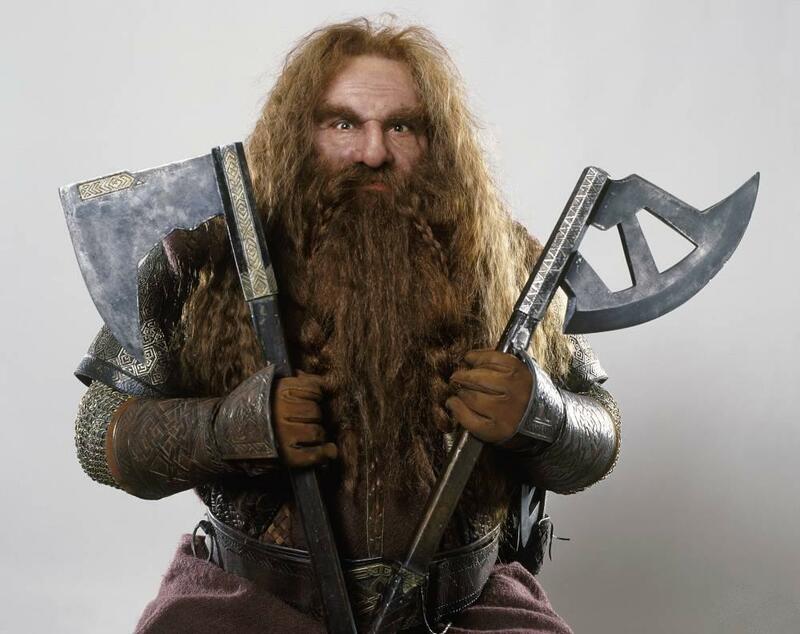 Whilst I mentioned above that Gimli only goes with his two-handed axe, he does actually have five different kinds of axes in the Lord of the Rings films. In the book, he was only written to have the one. He’s well represented in the film and in the books, often cited as one of the more proficient fighters of the group. Whether he’s just being a friend or he’s splitting Orc skulls with his massive axe (or array of different kinds of axes), Gimli strikes pretty hard – and it’s all because he uses a kind of weapon that’s just a bit bigger than he should be using. Taking our central spot in the list, Golden Axe gets the entry not because of how well known the game is for axes – In fact, the axes in Golden Axe are kind of lacklustre. With this in mind, the word Axe is literally featured in its name and if you’re a fan of gaming history, you will have at some point encountered the Sega classic. It’s a highly memorable and helped to really make the beat-em-up games take off. Of course, that’s about as far as it goes – There’s very little in the game to do with axes, let alone golden ones. Ah well. Some of the enemies wield some pretty cool looking axes, I guess. Also, have you seen how ripped everyone is?! 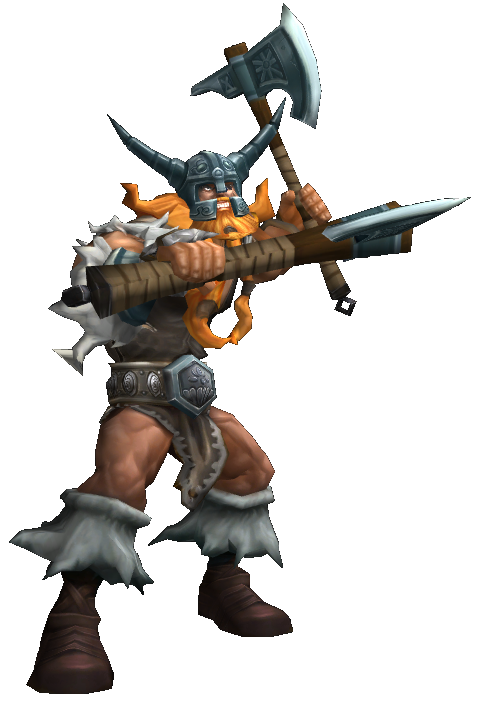 I mean look at that Dwarf and his massive axe. He’s certainly not compensating for anything, no sir-ee! Sounds like your basic neck separator, right? But this is Marvel we’re talking about – and the Executioner is an Asguardian named Skurge, often the muscle for the thinkers like Enchantress and Loki, but he’s not just some godlike meat-stick. The enchanted weapon in his hands can hurl fire and ice in great waves making it devastating to armies of foes, it also has the ability to cut rips in the fabric of space and time, allowing him to walk through dimensions. This actually makes the axe one of the most useful tools in the Universe, certainly as it pertains to any of Thor’s storylines. 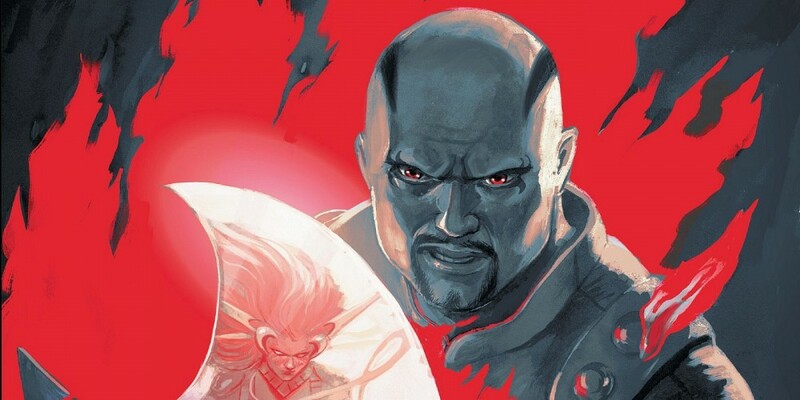 Immediate passage between Asguard, Midguard, Hel, Jotunheim, all in the hands of an easily persuaded axe-for-hire, turning Skurge into one of the most useful henchmen a cruel demi-god could hope for. The Separator which is his double-headed battleaxe and primary melee weapon. Initially emblazoned in cool hot-rod style flames, it gets the occasional reskin when granted powers like chain lightning, soul devouring, and other metal-sounding upgrades. Clementine who is Eddie’s guitar from home, turned into his primary ranged weapon and the channel for spells such as summoning cars or monsters, all whilst dishing out fire and lightning damage. It’s also necessary for completing puzzles and looking totally awesome BRUTAL at all times. One day, the scene of the fire, a cop found the perfect axe. That’s when he became Axe Cop! The comic-turned-cartoon written by a five year old and drawn by his twenty-nine year old brother, tells the many adventures of the greatest hero who ever lived: a mustachioed cop with an axe, an axe that gives him super head-chopping powers for some reason, who also rides a dinosaur with guns for arms. With a single swing, he can chop the head off any bad guy who crosses his path and even a bunch who go out of their way to avoid his path, because they’re evil and need to have their heads chopped off. The perfect axe has – in time – cut the heads from zombies, aliens, dinosaurs who aren’t good dinosaurs like Wexter and an evil moon. 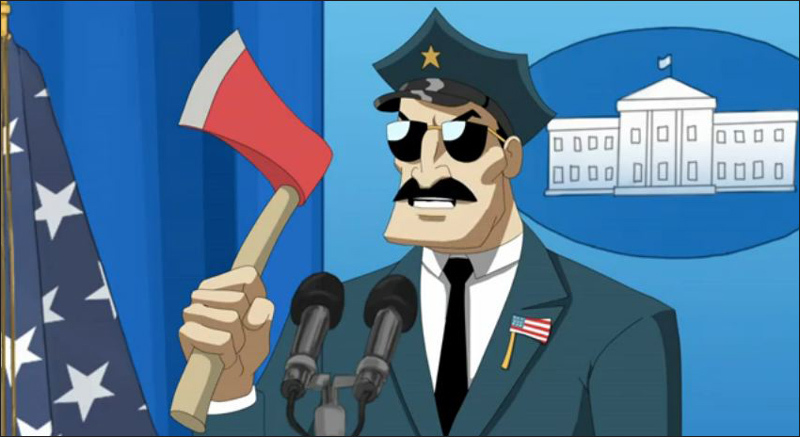 The axe itself has little to no power except for being perfect and also being carried by Axe Cop, who is of course the best good guy and hero who has ever been and who knows the perfect axe when he sees it. 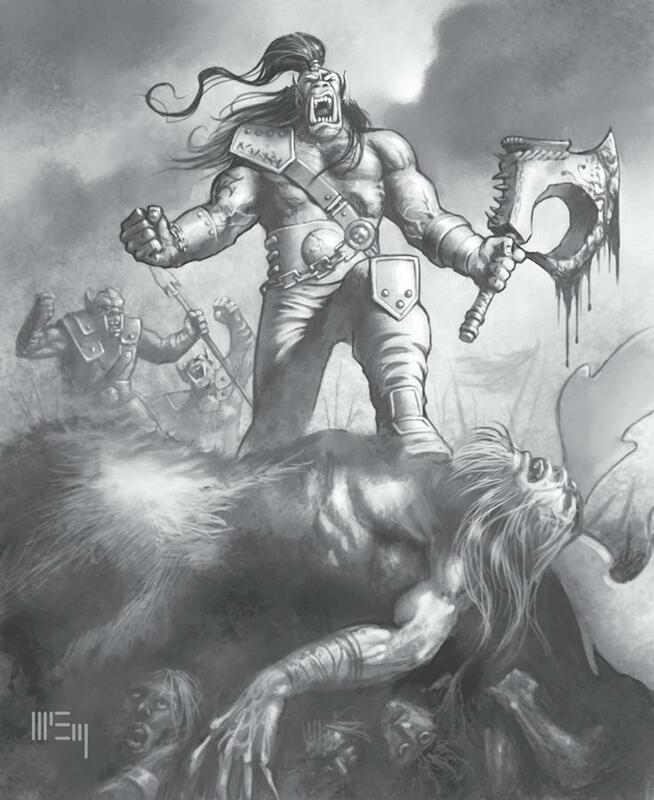 Grom Hellscream might have been a traitor to the Horde, but he possessed a weapon that so few others have surpassed. Sure, Frostmourne might be more memorable than Gorehowl, but remember, the axe is really the number two weapon after the sword. So it’s no question then that Gorehowl at least needs to be looked at, but other than being in Grom Hellscream’s hand, what can we say about it? Yes it’s a drop in World of Warcraft and yes, technically the real version of it is trapped in time because of Grom and all of his time-travelling misadventures, but let’s give credit where it’s due. This axe has slain many a powerful entity – including the Night Elf Demigod Cenarius. You’re right – It’s possibly not as epic as some of the weapons in this list, but when you consider the ferocity of an orc wielding a massive axe which is strong enough to kill a demigod, I think we should all fear the wrath of Hellscream. Once more our list is concluded, but with such an armoury to select from, we can’t keep things to the basic run of 10. Let us delve once more into the smattering of samples that got the chop because they couldn’t quite cut it. Those of you who grew up in the early noughties will remember quite clearly a certain popular MMO, way before World of Warcraft was a thing. This was a game that was very popular in schools, because it often somehow got around the pretty weak security schools had at the time. It was a game known as Runescape and so many people played it, though most people will say they remember it for the party hats which sold for several million each. Okay, but do you remember Runite? This was a mythic ore, which until much later, was the hardest ore to get. The Rune Axe then was a powerful weapon, if a little bit slow. You were also able to use this blue-looking axe to chop down trees in the process. There’s a lot to be said for this faintly blue axe, but people looked to those in rune armour with the highest of respect – Because if you had a rune axe and full rune gear, everyone in your school thought you were cool. Except for the bullies. They didn’t care about your rune axe. One of our readers will certainly get a kick out of this entry, after a discussion we had just yesterday. Those who don’t know of Dungeons of Dredmor should watch this space, for I’ll be doing a video on the cheesy game some time in the near future. In the meantime, it’s a roguelike, which means it’s a game that you try to play through, if it doesn’t go so well, you try it all over again. Before you enter the Dungeon (of Dredmor), you get to choose up to 67* skills (or get the game to choose them for you). *Thanks to Murray for pointing out my error! One of the skills listed is the Axe skill, allowing you to be more proficient in the use of axes. The axes in Dungeons of Dredmor hit less frequently than the swords, but they are slightly stronger. Couple this with the frankly ridiculous damage they cause and you’ve got yourself a serious damage dealer. This is one you should probably pick if you’re going melee in this game – You’ll need a strong axe to handle even the lowliest of Diggle. Once again our work is done, it’s about time we split, but before we go help us line up another list on the block. Have your say and give us your pick for next week’s Top 10. Was your favourite axe on the list? What did we forget, or can you think of a better axe that should have made the cut? Don’t lose your head over it, join us in the comments, or have your say on Facebook, Twitter or Reddit. 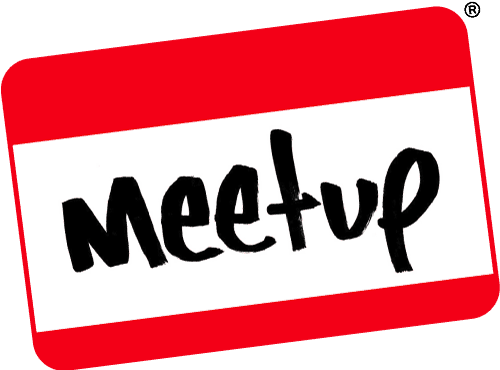 This entry was posted on September 24, 2016 by GeekOut Team. It was filed under Anime talk, Entertainment, Gaming posts, Literature, Top 10 and was tagged with Axe Cop, Axe of Prissan, Axes, brutal legend, eddie riggs, Eddie Riggs’ Axe, Executioner, Executioner's Axe, Gimli, Gimli’s Axe, Goblins, Golden Axe, Gorehowl, Lava Axe, League of Legends, Lord of the Rings, Magic: The Gathering, Marvel, Olaf LoL, Olaf’s Axe, Pyro’s Axe, Team Fortress 2, The Perfect Axe, the Pyro, Top 10, Weapons, World of Warcraft. Also adding to Gorehowl is the fact that its name comes from the sound it makes when you swing it, something to do with the notches/spines on the axe. Nice list. 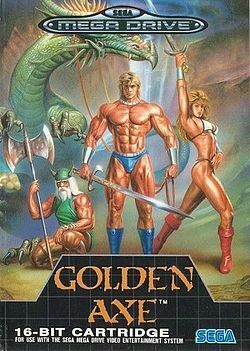 Funnily enough, wasn’t looking for WoW this time but Golden axe. Where would the throwing axe from Castlevanua fit in this list? Nice addition to Gorehowl :) I’ll add it in!